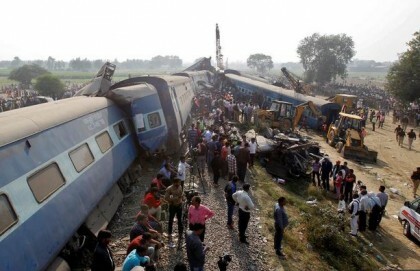 President Muhammadu Buhari has expressed deep sorrow and regret over the Sunday train disaster in India that killed more than 100 passengers near Pukhrayan. The President, who received the news of the train derailment and heavy loss of lives, expressed great sorrow and profound shock as he commiserates with the Indian Prime Minister, Mr. Narendra Modi and the families of the victims. President Buhari said that the government and the people of Nigeria felt and shared the pains and the anguish of the families of the victims and all Indians. The Nigerian leader prayed that God would comfort the grieving Asian nation.